Most people, when they think of coconuts, think of candy or coconut milk. Some think of coconut for baking, but few think of coconut being extremely healthy and useful for a myriad of things. According to Organic Facts, coconuts are good for "skin care, hair care, improving digestion and immunity." These are just a few of the benefits. Although most people associate coconuts with the tropics, the use of coconut oil is spreading rapidly throughout the world. Dr. Axe states that over 1,500 studies have been performed on the benefits of coconut oil. Below are 12 unusual uses of coconut oil that may come in handy for everyday life and around the house. DIYnCrafts recommends using coconut oil in your coffee as a replacement for your creamer. The oil is naturally sweet, so sugar can also be eliminated. For everything from buttering your toast, using it as the oil in your frying pan, pouring it over popcorn and using it as non-stick spray, Dr Axe points out that coconut oil works just as well as traditional oils and is healthier. He also recommends using the oil in baking instead of butter or other fats. According to Wellness Mama, you can apply coconut oil directly to the baby's bottom to act as diaper cream. Applying the oil directly to your skin after a shower or bath helps to lock in moisture and keeps you skin feeling soft and supple. 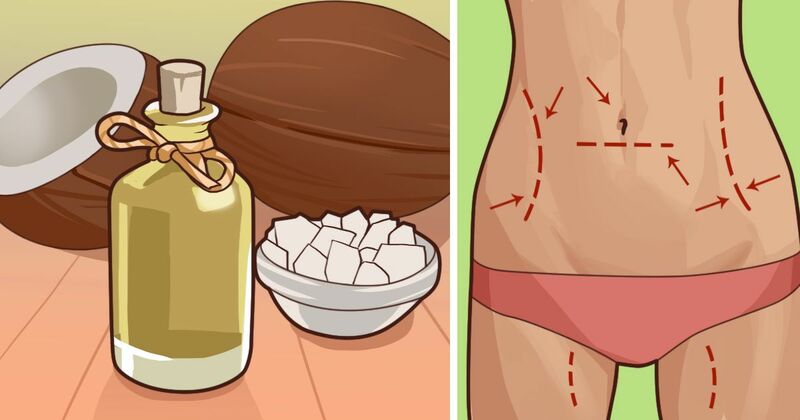 For pregnant women who worry about unsightly stretch marks, DIYnCrafts recommends rubbing coconut oil into the skin where the marks are appearing. The oil should prevent the marks from spreading and, over time, reduce the appearance of existing stretch marks. Applying a little bit of coconut oil to the site where you feel a cold sore coming on or after one appears, according to DIYnCrafts, may either prevent the sore from appearing or speed up the healing of the sore. Everyday Roots states that rubbing coconut oil into cuticles and on the nail itself should help heal rough cuticles and help healthy nails to grow. For those who worry about getting too much sun, Wellness Mama recommends rubbing coconut oil on the skin. It contains a natural SPF that will help protect against the sun's damage. Dr. Axe shares that if you get a sunburn, the oil should help soothe the burn. Since the oil is both a natural moisturizer and SPF, Coconut Mama recommends mixing 1 tbsp. (14.78 ml) of coconut oil, 1 tbsp. (14.78 ml) of beeswax, and 1 tsp. (4.93 ml) of olive oil or palm oil together to make a homemade lip balm. Both people and animals suffer from various types of fly bites. Once bitten, Everyday Roots recommends rubbing some oil on the bites to sooth the irritation. Some dogs have allergies that cause them to scratch themselves raw. Everyday Roots recommends applying the oil to the irritated skin and feeding the oil to the dog. The recommendation is to start with 1/2 tsp. (2.5 ml) per day and work up to giving 1 tsp (4.9 ml) for every 40 lbs. (.45 kg) of weight. Coconut Mama recommends using the oil directly on wood to clean and shine the surface without leaving chemicals behind. Whether the gum is in the carpet or someone's hair, Everyday Roots states that applying coconut oil to the gummy mess and allowing it to sit for two to five minutes should make the mess easy to slide off the carpet or hair. Wash the oil off the surface with a mild soap, and you're good to go. Nature is full of amazing things that can be used around the house and with animals and people. Before all the man-made chemicals were around, people had to work with what occurred naturally in the world around them. Sometimes what nature turns out is still best.